Family History-You may have a higher risk of developing the disease. NOTE –You may also have no symptoms. It’s important that you get regular gynecological exams. Endometriosis can affect fertility in a number of ways. Most obviously, as the disease progresses and pelvic damage increases to organs such as the Fallopian tubes through distortion or adhesions, the passage of sperm and eggs through the pelvis will be increasingly impaired. Similarly, there appears to be a change in the pelvic environment, most likely resulting from the endometriosis related inflammation. These inflammatory substances and cells impair the function of eggs and sperm, fertilization, embryo development and implantation. 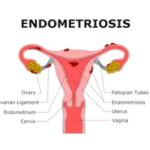 There is also increasing evidence that the quality and quantity of eggs in women with endometriosis is affected, though it is not certain whether this is a direct effect of the disease. Egg quantity (the ovarian reserve) can be measured through a pelvic ultrasound or a blood test, called an AMH. While it makes sense that endometriosis in the ovary can have this effect, the current evidence points to a reduction in egg numbers and quality even if the disease is outside of the ovary. Similarly, the current evidence suggests that the uterus in women with endometriosis seems to function differently. There appears to be a reduction in implantation and potentially also an increased chance of miscarriage in women with endometriosis. 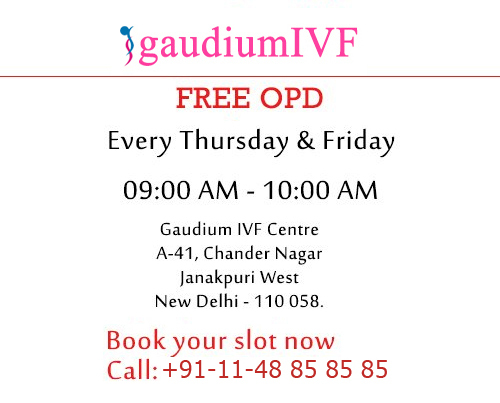 We, At Gaudium Provide an specialized treatment to a patient of Endometriosis and make their dreams come true with a Healthy Pregnancy.